Beresford started his career with Oldham Athletic and had a short period on loan at Swansea City before a big money transfer to Huddersfield Town. After just 40 appearances in four seasons, and loan spells with Preston North End and Port Vale, he was released and moved to Hull City. 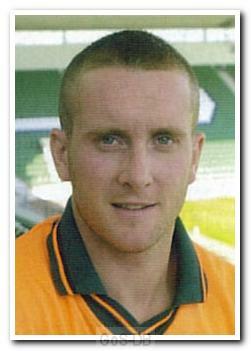 After impressing Paul Sturrock whilst playing for Hull against Argyle, he moved to Home Park when made available on a free transfer. Beresford was a speedy, diminutive winger who never fully broke into the Argyle first team. After a loan to Macclesfield he joined Tranmere Rovers on a free transfer, and after 18 months there finished his career back at Macclesfield.